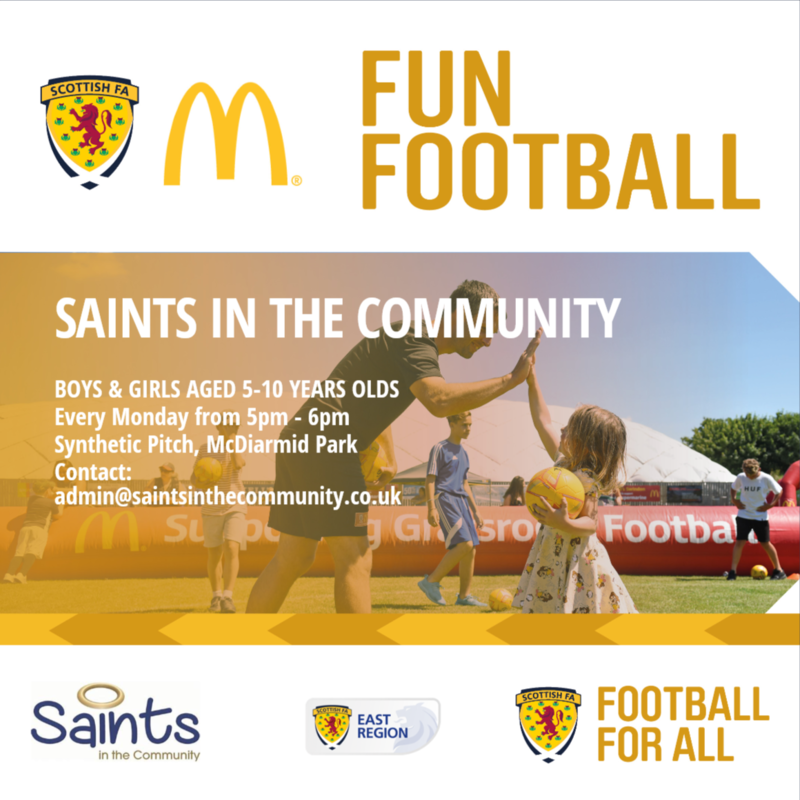 In partnership with the Scottish FA and McDonald’s, our Monday sessions will be FREE to attend for boys and girls aged 5 to 10 years old from 4th February to 24th June 2019. The 'Fun Football' project looks to encourage participation and improve the early experience of football for young, aspiring footballers - participants will take part in fun small-sided games and skill development stations. Children aged 11+ are still invited to attend our Monday sessions.